Students need tactics for when they encounter strange people or strange ideas. (Wilson, 2018) First-time online students are a perfect example of individuals who are encountering something new, strange, and often uncomfortable, for the first time. Welcoming that strange experience should include a little bit of information gathering. Look for positive and negatives in situations to help decide how you view it and, most of all, have an open mind. These responses raise the question: how can we better help our students? From the advice above, we know students struggle with time management, expectations, communication, etc. So, what can we do to help foster their success? Reach out to students who seem to be lagging behind. A quick email is sometimes all it takes to open up that line of communication between you and the student. Provide approximate times for course materials and activities. Students can use this to better plan for the requirements that week. Keep your course organized so students can spend more time with the content instead of search for the content. Remind students about where to access help and support services. Develop a Q&A discussion board for student questions about the course. Often, more than one student has the same question and often other students might already know the answer. Have this be something you check daily to answer questions quickly so students can continue with their learning. Use rubrics for grading. By giving the students rubrics, they will know what is expected, you will get responses closer to your expectations, and it makes grading easier! Welcome these ideas as you would a new experience. Give it a little try, jump right in, confer with colleagues, or chose your own path. Know that as an instructor or developer for an online course, you have the ability to help your students be successful! Fetzner, Marie. (2013). What Do Unsuccessful Online Students Want Us to Know? Journal of Asynchronous Learning Networks, 17(1), 13-27. Wilson, J. (2018). “As a stranger give it welcome”: Shakespeare’s Advice for First-Year College Students. Change, 50(5), 60. 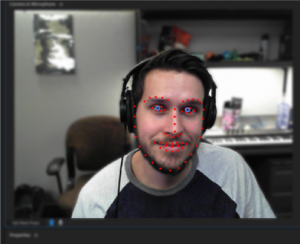 Facial motion capture (Mo-Cap) is a process that uses a camera to map and track points on the user’s face. Software such as Adobe’sCharacter Animator derive data from the camera to animate cartoon characters in real time. This can greatly reduce the amount of time needed to create an animation and breathes subtle life into the character that would be otherwise difficult to achieve. 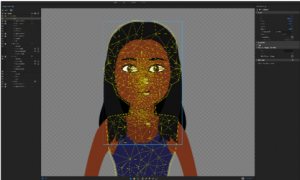 Character Animator harnesses the power of the webcam to map several parts of the face to the respective parts of the character allowing it to record in real time. This includes your eyebrows, eyes, mouth, and head position. It also intakes audio to change mouth shapes to match what the user is speaking. In addition to the webcam, the user can operate their keyboard to trigger additional movements, effects, and walk motions. All these different aspects combine and give the character a personalized feel. Cartoon animations currently do not have a large presence in online learning. This is mostly because they take a long time to create and not everyone has had the resources to create them. Normally, character animation for cartoons requires drawing each frame or using a pose-to-pose process called key framing. 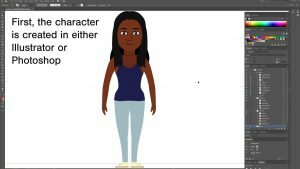 With innovative technology such as Character Animator, it greatly reduces the barrier to create cartoon animations for online learning. Each motion of the face records instantly and gives the character life by adding subtle movements to the face and head. The bulk of the work is completed early on to draw, rig, and add triggers to the character, or in this case, the puppet. Once the puppet is set up to record, it is smooth sailing from there. All movements, audio, and facial expressions are recorded in one take; greatly reducing the amount of time for development. However, Character Animator allows you to choose which aspects you want to record, so you can record the eye movements one time, then the eyebrows another time. This is helpful for the perfectionists out there who cannot seem capture it all at once. To create an animation using Character Animator, there are a handful of stages to complete. The first step is to draw the character in either Photoshop or Illustrator. Next, Character Animator imports the graphics and they are rigged into puppets to prepare for recording. This means the eyes, nose, mouth, etc. are tagged with their respective labels. Also during this time, you can create keyboard triggers. These are animations such as arm movements, walk motions, and more, that the pressing of certain keys on the keyboard triggers the character to perform. After the puppets are prepared, it is time to record. It does not have to be shot perfectly all at once; you can blend the best bits from different recordings into one masterpiece. The last step is to export the character’s recording and composite it into a story using video software such as Premiere Pro or After Effects. Once you achieve the flow of facial Mo-Cap, you can start cranking out animations faster than ever before. Below is a quick rundown of what it takes to set up a character and how to record it. At the end of the video, there is a sample of multiple characters in one scene. Posted in Animations, Illustrations, Multimedia, Resources, Tools & Trends, Videos. We all have conversations that are difficult from time to time. These are stressful, can make you (or the other person) feel bad, and they can take a lot of time to work through. Frameworks for conversations allow the participants to approach these conversations with some tools to help those conversations stay productive and turn the temperature down at the same time. By using these frameworks, you’ll help make this conversation not personal, be able to calm the situation, and arrive at better solutions, sooner. What are these difficult conversation frameworks? Let’s get started! When working with someone, often we come in with our own hat on. We know what we are going to bring to the table and what we’d like the other person to contribute. Before you even come to this meeting, you should try on another hat. Try the hat of the person who you will be meeting with, what might they expect? Is there a third party affected by the decisions that you’ll be making? Try their hat on. Seeing things from another’s perspective helps us to have a better understanding of what they might bring to the table. Action and re-action is part of who we are as human beings. These are two ends of a rope that can cause frustration when we don’t take a step back and view. When one person tugs at the end of the rope, the other end’s reaction is likely a huge step forward and then a quick tug back. The two people on the ends could keep tugging back and forth causing actions and re-actions but they might not get anywhere. If you can step away from those two ends and take a look at the whole picture, you can see that neutral zone where you can look at underlying issues that might be causing the tug-of-war. Even having one party step into this neutral zone takes away the constant back and forth and diffuses the difficult or possibly heated conversation allowing the parties to move forward. I’m sure this is familiar to those who’ve watched a popular T.V. show a “few” years ago. What we are talking about here is an outside source that can aide in the conversation. This could be a research article showing why a suggestion would be the right approach, a colleague that has had a similar experience and can talk to the success of an option, or bringing in facts and figures to support suggested approaches. 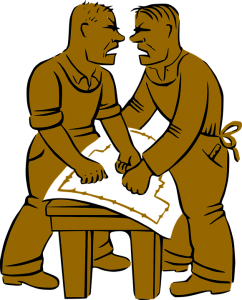 Whatever it is, that “friend” can help provide support while deciding on a course of action with an outside opinion, not another tug on an end. Personally, I’ve used each of these in conversations before and each one of them has helped multiple times. Do you have other frameworks or tips you’d like to share? Let us know in the comments! So you’ve scheduled your first video shoot with Ecampus. Great! We can’t wait to work with you. Here are answers to a few questions we commonly receive from instructors. How can I prepare for my video shoot? Rehearse! And this doesn’t have to be a bunch of work, just run through your piece once or twice before the shoot. If you’d like for the finished video to include any additional graphics, photos or video, please let a member of the video team or your instructional designer know in advance of the shoot so that we can plan accordingly. Should I write a script? Maaaaaaaybe. It’s up to you. Some people prefer to work from a teleprompter, others prefer to wing it. We always suggest going with your comfort zone. If you would like to work with a teleprompter, please send your script or bulleted list to ecampus.productions@oregonstate.edu at least one day before your shoot.What should I wear? Wear clothes that are comfortable and make you feel good about yourself…that’s the priority. Feel free to show off your personality and have fun with it. Avoid wearing plain white. It’s distracting against a black background, and gets lost in a white background. If you’ll be filming against a black background, you’ll want to avoid wearing black, lest you appear to be a floating head and arms in your video. Also, black or really dark clothing can sometimes cause more shadowing on the face, accentuating wrinkles and aging the subject. Instead, you might consider a medium-dark blue or gray. Or even better, go for a rich, solid color. Also, avoid tight lines and patterns. These types of patterns cause a distracting optical effect called moiré where the pattern appears to move. Larger patterns, like plaid, look fine. Finally, please avoid noisy jewelry and accessories as the microphone may be able to pick up the noise. Oh gosh! Now that I’m here and I’m on camera, I have no idea what to do with my hands. Think of the camera as another person. How do you move when you’re talking to somebody? If you tend to gesture when you speak, then please do! The movement will add energy to the video and help to convey your excitement about the topic. Another option is to hold a prop. Just be sure that your prop is relevant to the video so that you don’t confuse the viewer. If you prefer to be more still, that’s also great. Just be sure to maintain open body language and avoid crossing your arms in front of you or behind you. This terrific Wistia article talks about the science behind why your gestures look so awkward on camera and dives into the hand thing a bit more, explains why we feel so awkward on camera, and suggests some ways to feel more comfortable at your video shoot. If you have any questions, concerns, or ideas to share, please contact the Ecampus video team at ecampus.productions@oregonstate.edu. Looking forward to working with you! Posted in Multimedia, Resources, Tools & Trends, Tips & Tricks, Videos. In a time when ideas and technology are rapidly changing within online education, it can be increasingly challenging to determine what students truly value and how to measure what impacts their overall success. Research has shown that online learners who are engaged with the material, intrinsically motivated, possess self-regulation, and have a positive or growth mindset have preferable outcomes – yet the correlation between these areas has not been thoroughly explored (Richardson, 2017; Diep, 2017; Sahin, 2007). Emerging from the intersection of positive psychology and higher education is a new vision for student success that encompasses these areas called thriving. Created by Dr. Laurie Schreiner, Chair and Professor in the department of Higher Education at Azuza Pacific University, the Thriving Quotient measures the characteristics of thriving, and has been used with thousands of students in hundreds of institutions around the world. Schreiner defines thriving students as those who are “engaged in the learning process, invest effort to reach educational goals, and are committed to making a meaningful difference in the world around them” (Schreiner, 2010). Thriving students deeply value their education, possess the self-efficacy and determination to persist towards their long term goals, feel connected to their institution, faculty, and other students, and want to make a positive impact on the world. While all five factors of thriving are connected and crucial to student success, the area that instructors and instructional designers may most directly impact is Social Connectedness. Social connectedness refers to the support networks we build, the relationships that are cultivated, and how connected we feel to our community. Social connectedness can span the areas of student to student connection, student to instructor connection, and student to administrator connection. Student interaction with other students and instructors has been determined to be fundamental to their experience as an online learner (Symeonides, 2015; Rust, 2015; Vianden, 2015; Cole, Shelley, Swartz, 2014; Allen, 2008). Within this context of social connectedness, the research on social presence and creating a sense of belonging contribute to the understanding of how relationships may contribute to online student satisfaction. In Jörg Vianden’s study on what matters most to students, students were asked to report on their most satisfying and dissatisfying experiences. For both categories, they focused primarily on their interpersonal relationships (Vianden, 2015). In regards to how these impacted students’ interactions, the most common dissatisfaction regarding faculty relationships was disrespect and unresponsiveness. Students not only desire positive relationships with their faculty, staff, and peers, but it is exceedingly important in predicting their academic outcomes. Social presence and connection with others was found to be exceedingly important in predicting student satisfaction and perceived learning (Richardson, 2017). The connection is even furthered with the assertion that social presence should be the foundation of critical thinking and learning objectives for students (Garrison & Akyol, 2013). 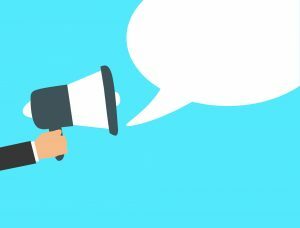 What does all of this mean for instructors? 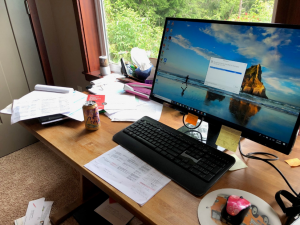 As an instructor, you are often the primary and most valued relationship and connection that an online student will have in their education. While students have additional support from academic advisors, student success professionals across departments, and other student-facing roles, these individuals will not have the daily interaction and impact that an instructor has with their students. In partnership with instructional designers, instructors have the ability to positively create spaces for connection through teaching preferences, course design, resource choices, and communication policies. Providing opportunities for students to connect with their instructor and one another using tools such as videos in the discussion forums, FlipGrid, or WebEx/Zoom conferencing for recordings and lectures. Below are some comments from our most recent student survey that speak to the importance of connectedness for online learners. Please know that you can always reach out to the Ecampus Success Counselors with questions or to refer students that may be struggling or not participating. We appreciate the great work you are continually doing and value the critical role you hold in educating, guiding, and empowering our online students. If you’ve ever needed an excessive amount of photographs or diagrams to accurately describe a physical object for your class, you may benefit from a 3D model. Standard media types, including text, photographs, illustrations, audio, video, and animation, are crucial to the online learning experience. A 3D model is essentially another media type with a lot of unique qualities. What is a 3D model? 3D models, in this case, are digital representations of physical objects. 3D models generally consist of a polygon mesh and a surface texture. The polygon mesh is a “shell” comprised of the different surfaces of a 3-dimensional object. There are three main components that make up this shell: vertices (points), edges (lines), and faces (planes). For what should be clear from the previous sentence, polygon meshes are often referred to as simply “geometry.” There are a lot of other technical terms associated with polygon meshes, but in practical application, you may never need to learn them. The surface texture, at its most basic, is an image, mapped onto the surface of the polygon mesh. A texture can be as simple as a solid color, or as complex as a high-resolution photograph. The texture will be wrapped onto the surface of the geometry with the help of a set of instructions called UVs. UVs are a complex topic in and of themselves, so it’s good enough that you just know they exist conceptually. These textures can have physics-based properties that interact with light to produce effects such as transparency, reflection, shadows, etc. You’re probably thinking to yourself now, that 3D models are too complicated to be of use in your courses, but that’s not necessarily true. The composition and inner workings of 3D models are complicated, for sure, but you don’t need to be an expert to benefit from them. Where did they come from, and how are they used? There probably isn’t a day that goes by where you don’t experience a 3D model in some way. They are everywhere. 3D models, in digital form, have been around for decades. They have been used in industrial applications extensively. 3D models are used to generate toolpaths for small and large machines to manufacture parts more consistently than a human could ever hope to. 3D models are also used to generate toolpaths for 3D printers. 3D models are used in movies, animations, and video games. Sometimes entire worlds are created with 3D models for use in virtual and augmented reality. Modern interfaces for computers and smartphones are awash in 3D graphics. Those graphics are rendered on the screen from 3D models! How can they help me as an educator? If you’re still not convinced that 3D models hold any benefit to you, I’ll explain a few ways in which they can enrich your course materials. 3D models are easily examined and manipulated without damage to physical specimen. If you are involved in teaching a course with physical specimens, you are no doubt familiar with the concept of a “teaching collection.” A teaching collection is a high-turnover collection that gets handled and examined during class. Normally these collections break down quickly, so instructors are hesitant to include rare and fragile specimens. Having digital proxies for these rare and fragile specimens will allow students access to otherwise unknown information. This has even bigger benefits to distance students, as they don’t have to be anywhere near the collection to examine its contents. If you have a biology lab, and the students are looking at skull morphology, there’s a distinct possibility that you would have a skull on hand to examine. If there are 30 students in the course, each student will have only a short amount of time to examine the specimen. If that same skull was scanned and made into a 3D model, each student could examine it simultaneously, for as long as they need. Many schools and universities around the world are digitizing their collections and sharing them. There is a fair amount of overlap in the models being created, but the ability to add regionally exclusive content to a global repository would be an amazing benefit to science at large. Smaller schools can have access to a greater pool of materials, and that is good for everyone. A 3D model is a media object. That means it can be examined, but it’s special in the way that it can be interacted with. Functionality can be built on and around a 3D model. Models can be manipulated, animated, and scaled. A photograph captures the light bouncing off of an object, that is closer to a description of the object. A 3D model is a representation of the actual physical properties of the object, and that strikes at the nature of the object itself. This means that a 3D model can “stand in” for a real object in simulations, and the laws of physics can be applied accurately. This realistic depth and spatial presence can be very impactful to students. Much more so than a simple photograph. Because 3D models are accurate, and because they occupy no physical space, they lend themselves to analysis techniques unavailable to the physical world. Two models can be literally laid on top of one another to highlight any differences. Measurements of structures can be taken with a few clicks. In the case of a machined part, material stress tests can be run over and over without the need to replace the part. These are only a few of the ways that an educator could leverage 3D models. There are many more. So, if you still find 3D models interesting, you’re probably wondering how to get them, or where to look. There are a lot of places to find them, and a lot of techniques to build them yourself. I’ll outline a few. 3D models are available all over the internet, but there are a few reputable sources that you should definitely try first. Some will allow you to download models, and some will allow you to link to models on their site. Some will allow you to use the models for free, while others will require a fee. Some will have options for all of the aforementioned things. The two main ways to create 3D models are scanning and modeling. Scanning can be prohibitively expensive, as the hardware can run from a few hundred dollars, to many thousands of dollars. But, like anything else technological, you get what you pay for. The quality is substantially better with higher-end scanners. For something a little more consumer-grade, a technique called photogrammetry can be employed. This is a software solution that only requires you to take a large series of photographs. There is some nuance to the technique, but it can work well for those unable to spend thousands of dollars on a 3D scanner. Some examples of photogrammetry software include PhotoScan and COLMAP. Modeling has a steep learning curve. There are many different software packages that allow you to create 3D models, and depending on your application, some will be better suited than others. If you are looking to create industrial schematics or architectural models, something likeFusion 360, AutoCad, or Solidworks might be a good choice. If you’re trying to sculpt an artistic vision, where the precise dimensions are less important, Maya, Blender, Mudbox or Zbrush may be your choice. There are a number of ways to use 3D models in your class. The simplest way is to link to the object on the website in which it resides. At OSU Ecampus, we use the site, SketchFab, to house our 3D scans. The source files stay with us as we create them, but we can easily upload them to SketchFab, brand them, and direct students to view them. SketchFab also allows us to add data to the model by way of written descriptions andannotations anchored to specific structures in the model. The models hosted on SketchFab behave similarly to YouTube videos. You can embed them in your own site, and they are cross-platform compatible. They are even mobile-friendly. As you can see, there is a lot to learn about 3D models and their application. Hopefully, I’ve broken it down into some smaller pieces that you can reasonably pursue on your own. At the very least, I hope that you have a better understanding of how powerful 3D models can be. Posted in 3D Models, Animations, Illustrations, Interactive Diagrams, Multimedia, Resources, Tools & Trends. Online education provides access to all types of students and from all across the world. Each student is unique and has unique educational needs. To better attend to our student’s needs, we can develop course materials from the beginning to be more accessible for everyone. When creating or selecting multimedia for a course, an equivalent option should be provided for students that cannot access the multimedia. As an example, if you are creating lectures you should create a word for word transcript that can be posted or better yet, be used to create closed captions. For students who use screen readers, adding an “ALT-TAG” on all images used in the course helps them to “see” images or skip over unnecessary decorative images efficiently. The ALT-Text should describe the educational value of that image. What they are they supposed to gain from that image and why is it essential to the course material? When creating or selecting documents to use in your class, you’ll want to make sure that all files are accessible to students. Using built-in accessibility feature in Word, PowerPoint and PDF documents will help to develop an accessible structure for that document. All students will benefit from having a link that describes where they are going to link out to. Students who use screen readers will be especially grateful if they have a link that says “Oregon State University Library resources” instead of “click here” or simply the URL. Dark text on light backgrounds or light text on dark backgrounds will help all students read your important information easier than, perhaps, orange text on a red background. Doing this also limits the trouble that students who are color blind to see the difference between the background and text. Remember to not use color as the only form of meaning. If you have red and green text showing students what to and not to include in a paper, make sure there are headings that also state that information. Want to know what colors and backgrounds work? Check out WebAIM’s Color Contrast Checker. If you have any tips or questions, please leave them in the comment area below.